The site of the MAPS 3 park in downtown Oklahoma City. 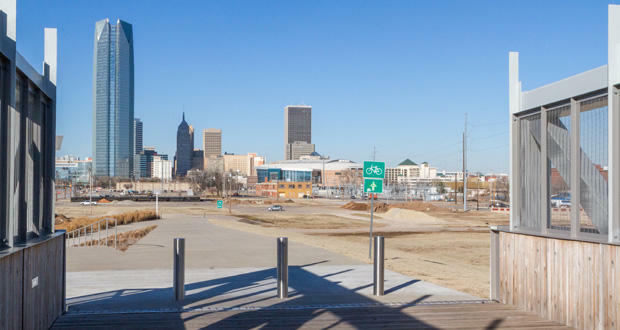 Ever since the 2009 passage of the MAPS 3 sales tax incentive that would fund a series of civic project in Oklahoma City, residents have been waiting for the park. The so-called "core-to-shore" vision would connect the Myriad Botanical Gardens with the Oklahoma River, with an already-built pedestrian bridge bisecting Interstate 40 and connecting the two halves of the 70-acre greenbelt. Foster said his company found various compounds and metals such as lead throughout the park, primarily in eight small areas that are now slated for excavation. The materials will be hauled to a regulated landfill. He described them as minor environmental impacts. Clean soil will be brought in as needed; Foster said it’s difficult to estimate volumes needed because City Hall plans to put a pond in the park. As for concerns of contaminated groundwater interacting with water features, Foster said the problem layer is about 25 feet down, well out of range of the shallow, lined pond. Foster’s company will handle all the excavation work, separate from the contractors tasked with building the park back up, further reducing the risk of cross-contamination. "This week the city and the state [Department of Environmental Quality] signed an agreement to use [Environmental Protection Agency] grants to clean up waste," said The Journal Record's managing editor Adam Brooks. " They're also going to take steps like using different cleanup and construction crews, separate companies, so that should prevent any cross-contamination that could happen." 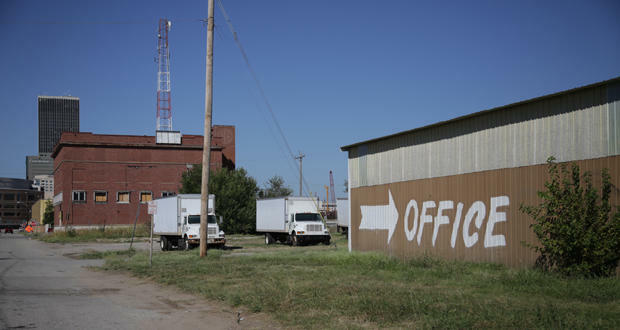 The Oklahoma City Council approved a memorandum of agreement with the Oklahoma Department of Environmental Quality on Tuesday to enable the city to comply with site-specific cleanup grants received from the U.S. Environmental Protection Agency last year. The city’s brownfields program applied to the EPA for three grants worth $200,000 each. A 20-percent cost share is required as well, funded through the MAPS 3 budget. 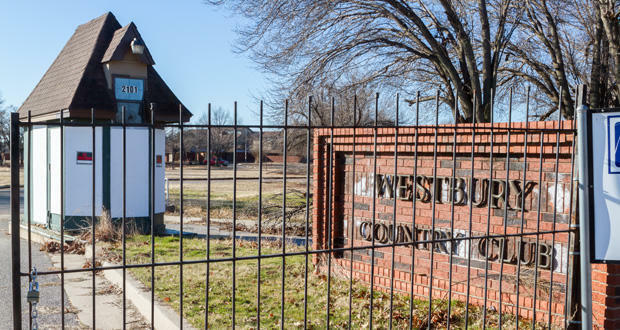 The entrance gate to the closed Westbury Country Club in Oklahoma City. For years, the golf course at Westbury Country Club has sat unused, slowly deteriorating beyond the viability of repair. Residents near SW 29th Street and Morgan Road in far southwest Oklahoma City wanted the city to reopen the club as a municipal course. It was purchased for $8,500 per acre, for an overall price of about $1.33 million, by Romeo Danais. Home developer Ron Walters will build his third gated senior-housing community on the land, as well as other homes. Walters said he plans to renovate the existing 50,000-square-foot clubhouse. The project has attracted concern from Westbury residents who don’t want their property values to decrease. They were also worried about the homes being built on a flood plain, according to letters sent to the City Council. 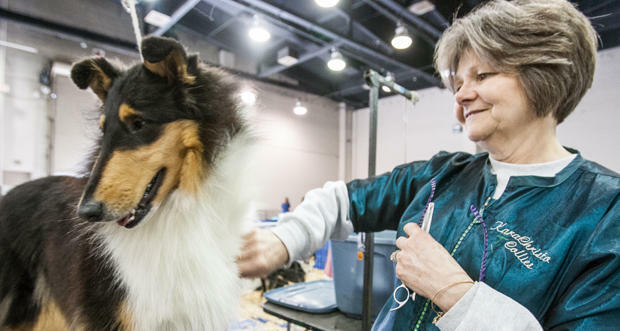 "Walters says that he spent $100,000 on a flood study, and they're going to design the communities with that in mind so there won't be any problems," Brooks said. During the Jan. 5 city council meeting, Mayor Mick Cornett told Councilman Larry McAtee the two have probably talked more aboutt his project than any other in McAtee's Ward 3 since the two have been serving together. Walters has divided the land into four tracts. Tract 1, along the north side, will be gated senior housing, similar to Walters’ other projects in Edmond and Moore. The cottages will be duplexes, triplexes, quadplexes and not larger than a five-plex. The northeast’s side tract 2 will be housing for people age 55 and older. Then, tract 3 will be 90 single-family lots. Walters will build homes on some of the lots, and others will be sold. He said he plans to break ground on tracts 1 and 2 later this year. On Tuesday, the Oklahoma City Council closed its meeting with an executive session, and when they emerged, it look less than 30 seconds to cap months of speculation and uncertainty over the site of the MAPS 3 Convention Center. The council moved to pick a site known as East Park 1, located south of the Chesapeake Energy Arena from SW 3rd to SW 7th streets between Robinson Ave. and Shields Blvd. 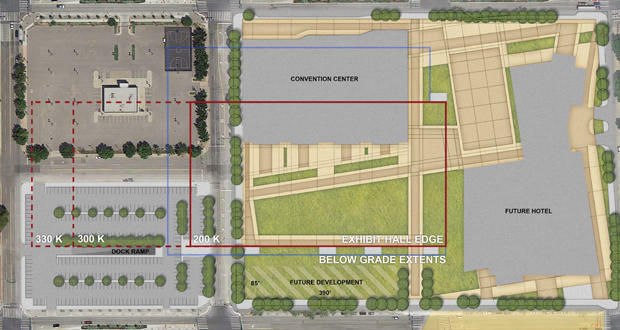 Tuesday afternoon Oklahoma City leaders announced they would start looking for a new site for the convention center that's part of the Metropolitan Area Projects, or MAPS 3, proposal voters approved in 2009. The Oklahoma City Council on Tuesday approved a route for the first phase of a streetcar line as part of the MAPS 3 series of projects. The 4.5-mile route framework connects Bricktown, Midtown, and a future convention center and downtown park also approved as part of MAPS 3. Last week, Oklahoma City said it would reopen the search process for the site of the MAPS 3 convention center, and on Tuesday the city council voted to abandon the originally planned location near the Myriad Gardens.